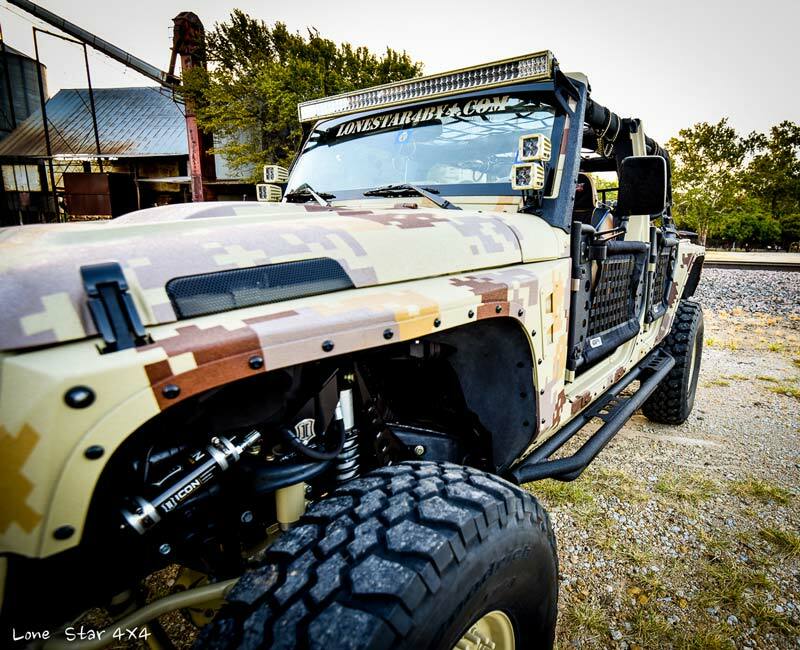 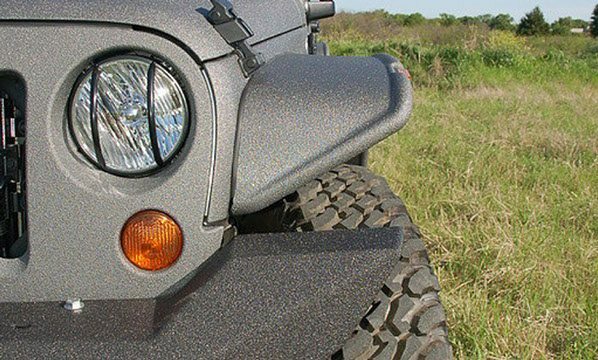 Vehicle Protection with Custom Jeep Fenders and More! 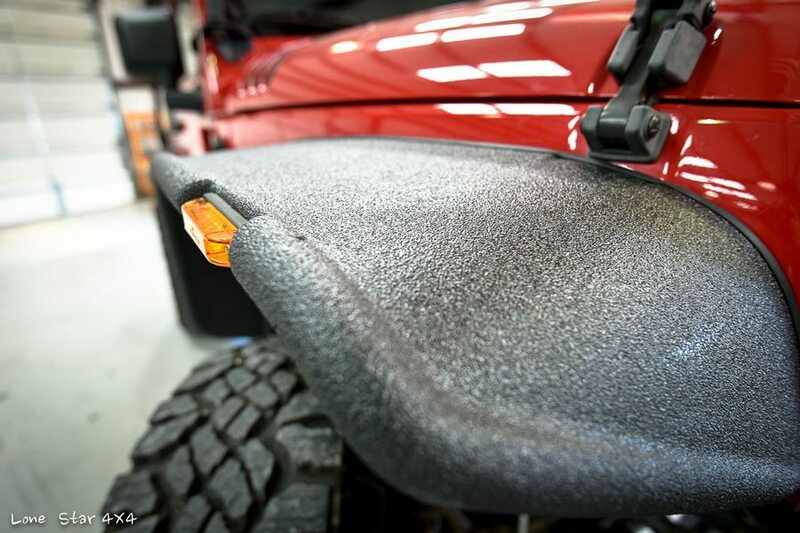 Protect the body of your ride from sand, mud, and rocks with custom fenders for your Jeep, Truck, or SUV! 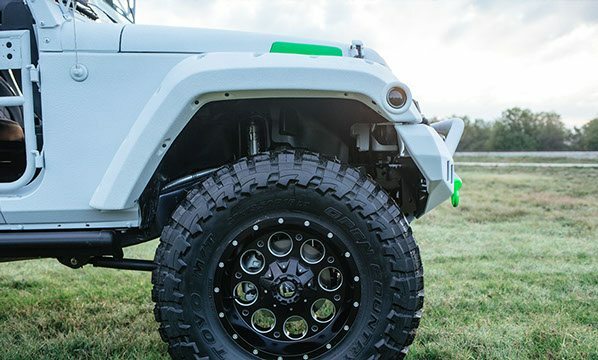 We can spray your factory fenders with a color-matched, high-pressure, exterior liner spray or install aftermarket pocket style fenders, flat fenders, body armor, and more! 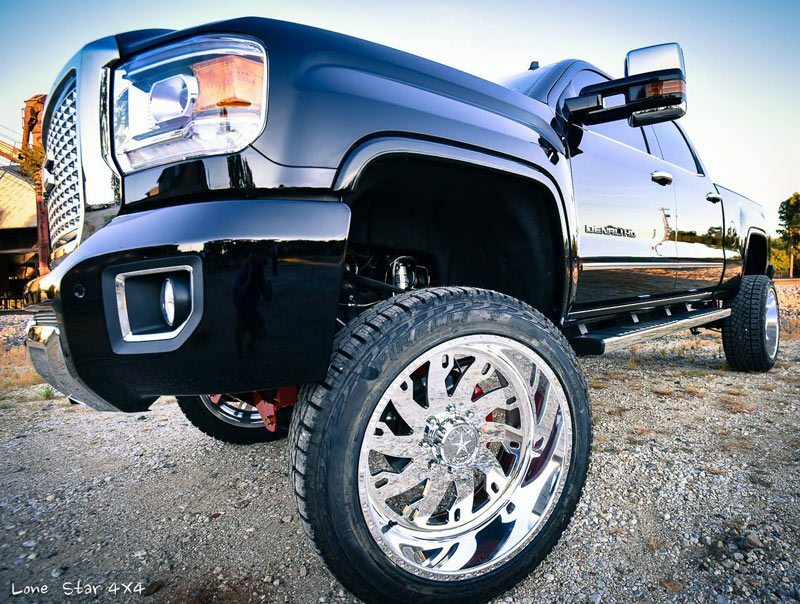 We can also paint fenders to match your vehicle. 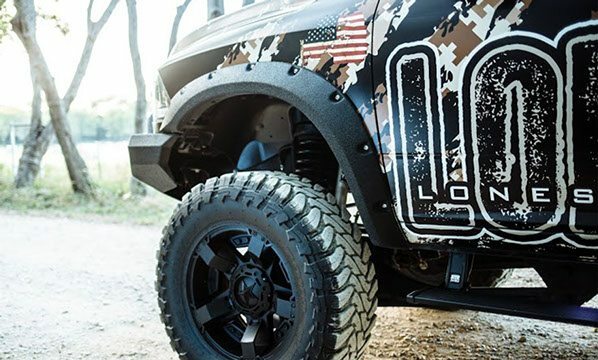 Lone Star 4×4 is happy to serve clients in Argyle, Lewisville, and all over the North Texas area.